We have just returned from our first research trip in Scandinavia after being awarded the Professional Prix de Rome in Architecture last year. 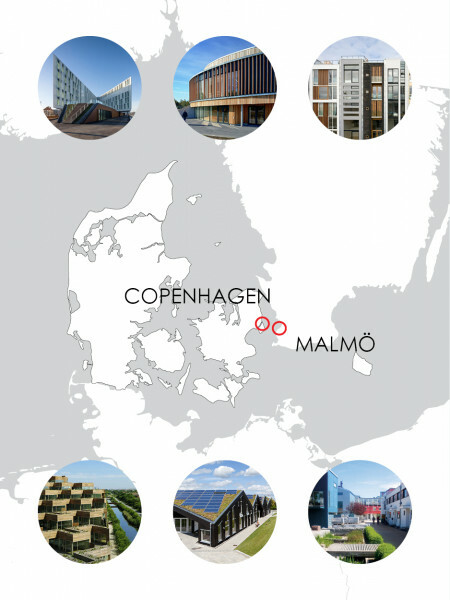 The first part of our research into sustainable architecture involved travel to Copenhagen, Denmark and Malmö, Sweden, and included interviews with leading Danish architects — 3XN, AART, Tredje Natur, Henning Larsen, Christensen & Co., Vandkunsten, Lundgaard & Tranberg, COBE, and Gehl Architects – and architect-led tours of state-of-the-art buildings. We also met with organizations such as the Danish Architecture Centre, Realdania, State of Green, and the Velux Group, who spearhead a variety of sustainable initiatives in the region. Stay tuned to the blog we created to share this research, The Next Green, and our social media accounts for updates on our findings which we will be posting over the next few weeks. You can also subscribe to get our research posts directly to your mailbox.